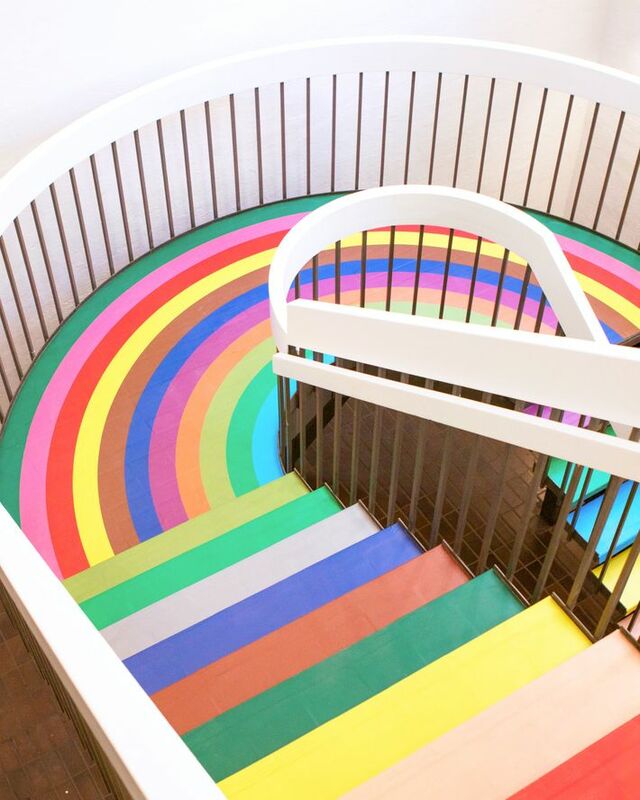 The Color Factory’s “Color Walk” map for the Cooper Hewitt. Photo: Courtesy of Color Factory. 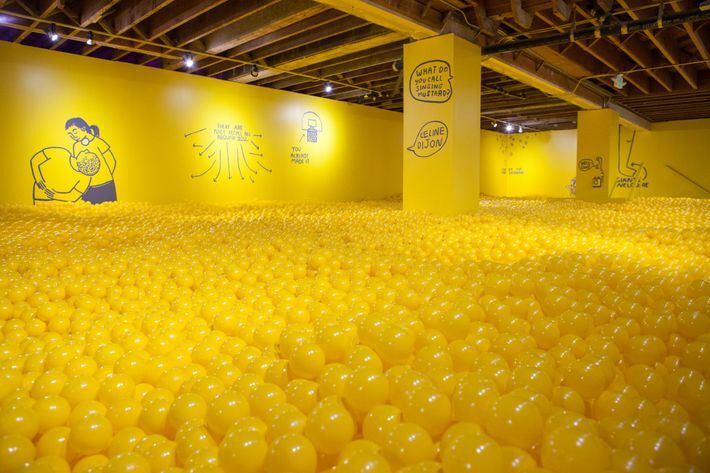 After a popular run in San Francisco, the Color Factory is coming to New York City for the first time in early August. 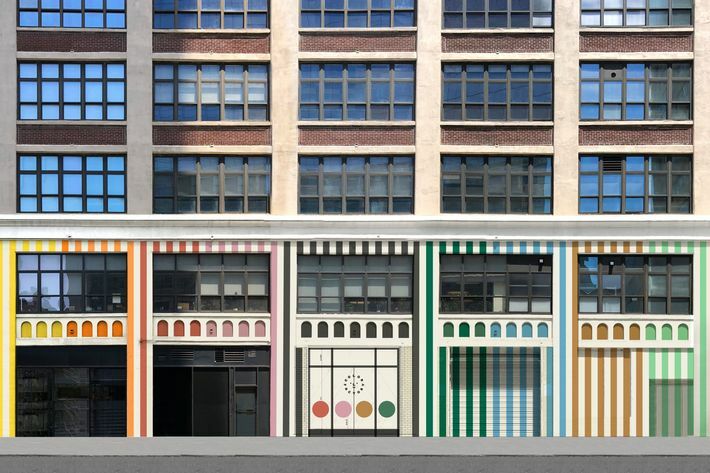 Located at in Soho, the 20,000-square-foot pop-up museum will house entirely new art installations with the same mission: to give visitors a fun, immersive way to see national and local artists who work in color — along with the chance to snap some killer Instagram photos. Tickets can be purchased . 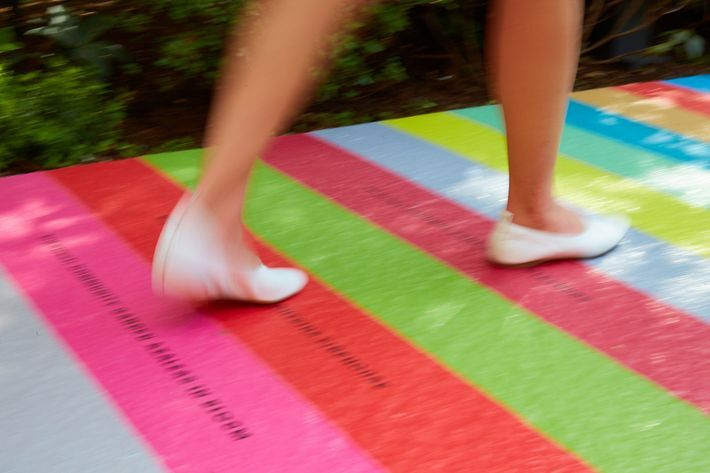 While the Color Factory hasn’t yet released details for the Soho factory, it’s offering museumgoers a taste of what’s to come with a at the Cooper Hewitt in the Upper East Side — a striped walkway in the museum’s garden that pays homage to the borough. 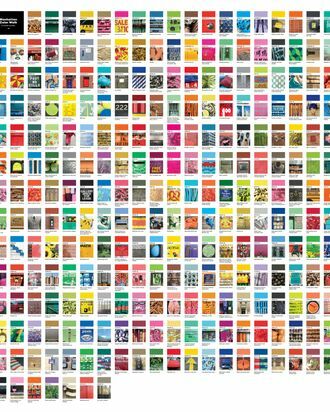 The pictured above, shared exclusively with the Cut, showcases the inspiration behind each of the 265 colors chosen for the Color Walk: bright yellow for bulk butterscotch candy that’s sold at the local candy store Economy Candy; lime green for the public park seating at 15th Street; and light orange for a single scoop of ice cream from a coco helado cart on 170th Street, to name a few. 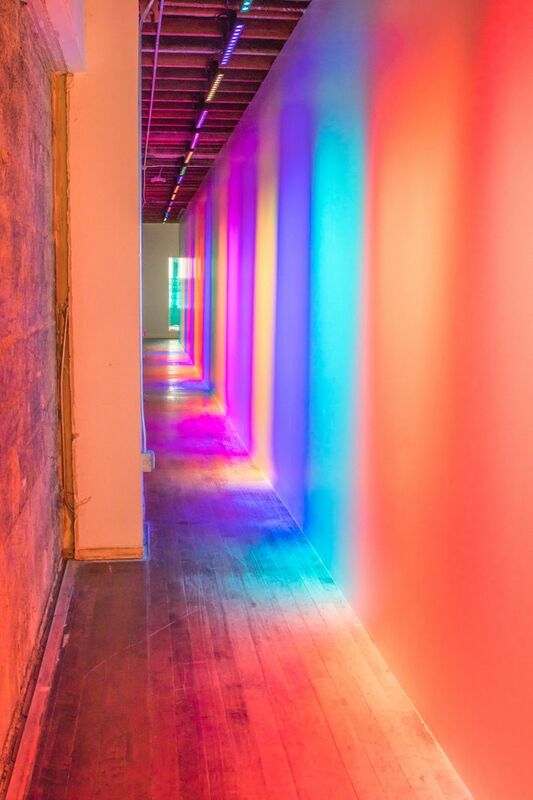 The original opened last year in San Francisco in a transformed 12,000-square-foot warehouse with 15 site-specific and sensory works from the likes of Tosha Stimage and Tom Stayte. 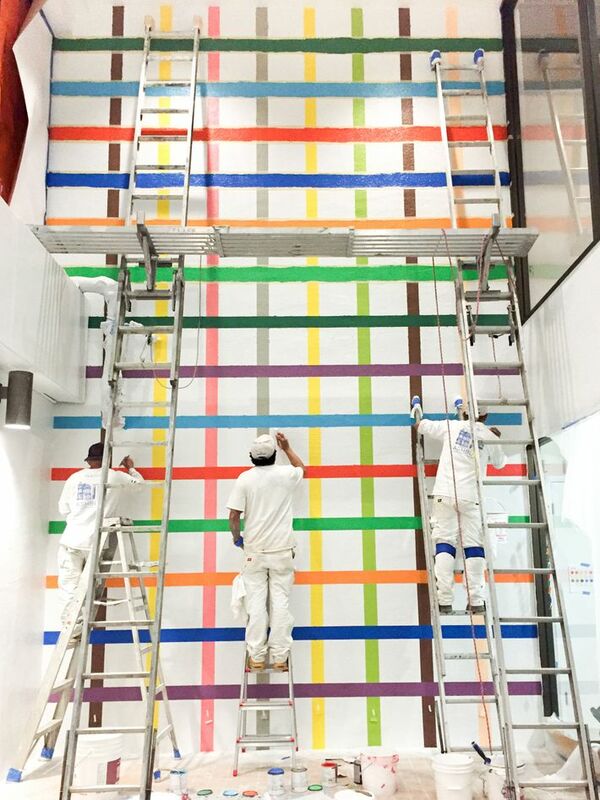 Visitors could smell scents like “the perfect Christmas tree” and bubble tape on a “scratch-and-sniff” wall, while a coloring room with oversize colored pencils called on its guests to draw on the walls. 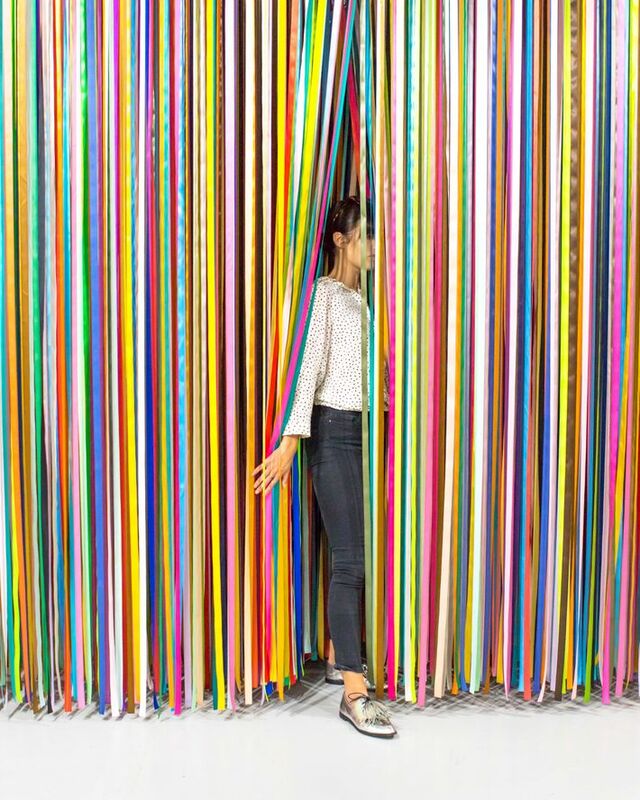 Every installation had intense social-media appeal, with several spaces dedicated specifically for selfies, but many went beyond the instant charm of a photo. Stimage, for example, used the color orange as an analogy for black identity in her work, an assemblage of orange objects like cheese puffs, scissors, and goldfish. 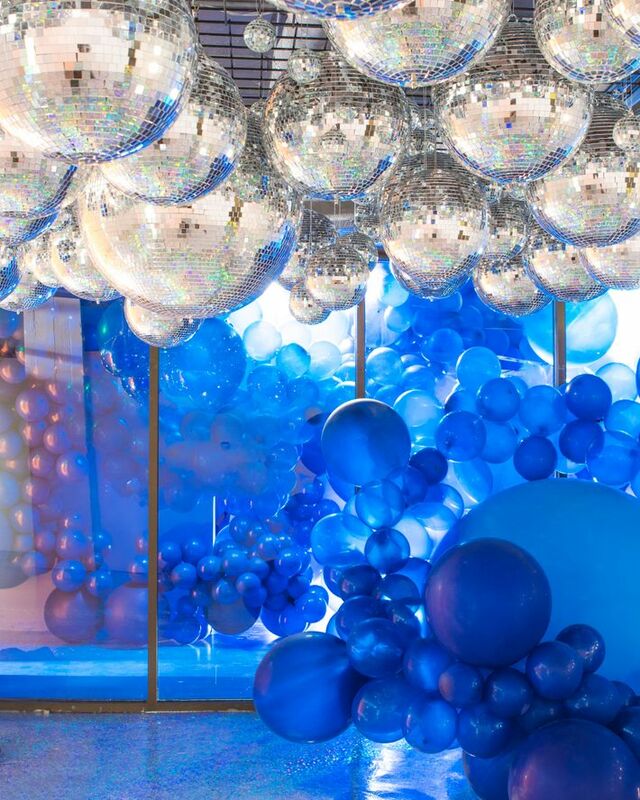 Three friends created the concept: Ferney, a former event planner and the blogger behind the party and lifestyle site , artist Leah Rosenberg, and designer Erin Jang. The exhibit’s facade. Photo: Courtesy of Color Factory. 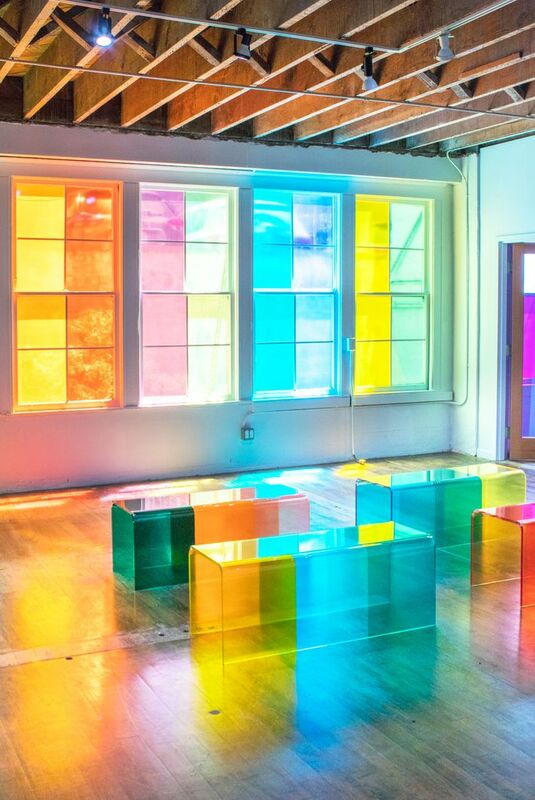 Scroll to see photos from the Color Factory’s San Francisco location below.